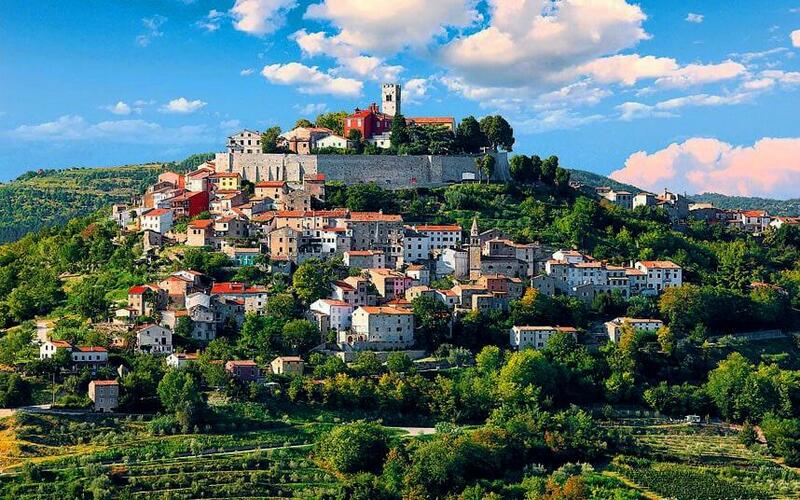 All about the Cycle Parenzana and Istria – Slovenia, Croatia. 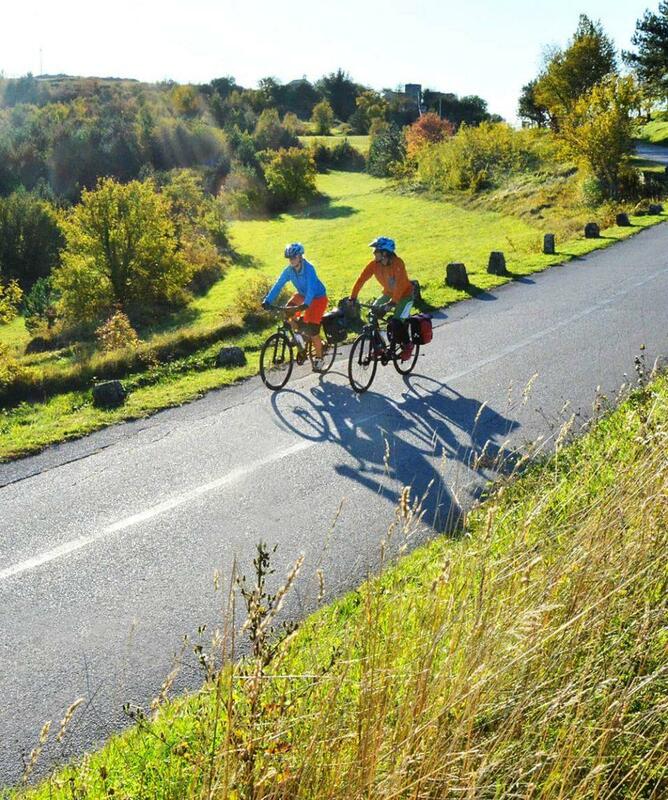 7-day cycling holiday on the Parenzana - The Route of Health and Friendship - a former railway route, which connected cities and towns from Trieste to Poreč and cycle from Poreč to Pula via beautiful Rovinj area. Begin the journey in an Italian port town of Trieste. 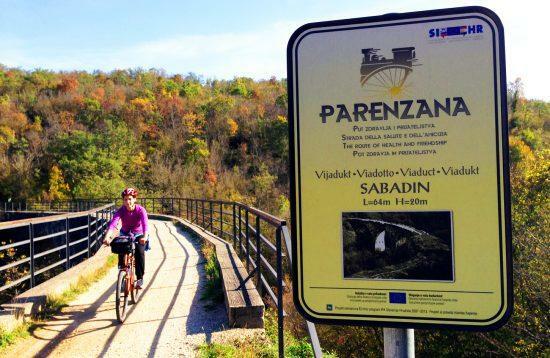 Cycle on the Parenzana Trail to Slovenia and go past coastal towns of Izola, Piran, Portorož and Sečovlje. 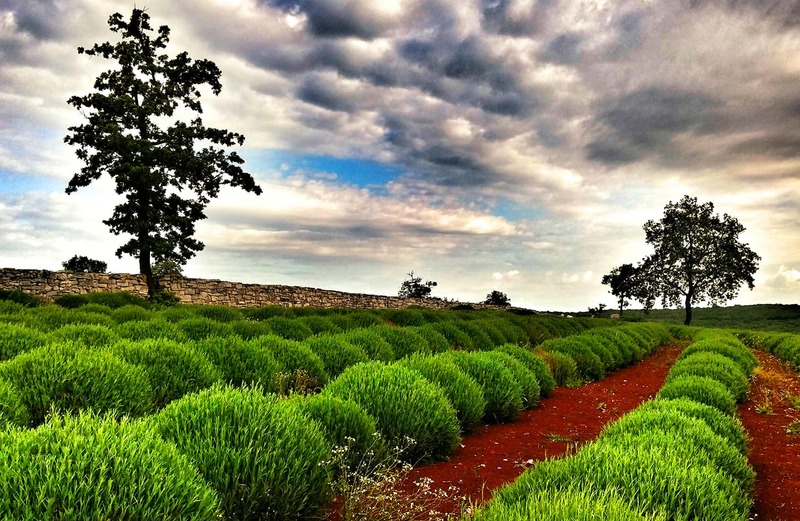 Visit the Sečovlje Nature Park, where salt is still taken from the sea by the 700-year old traditional recipe. 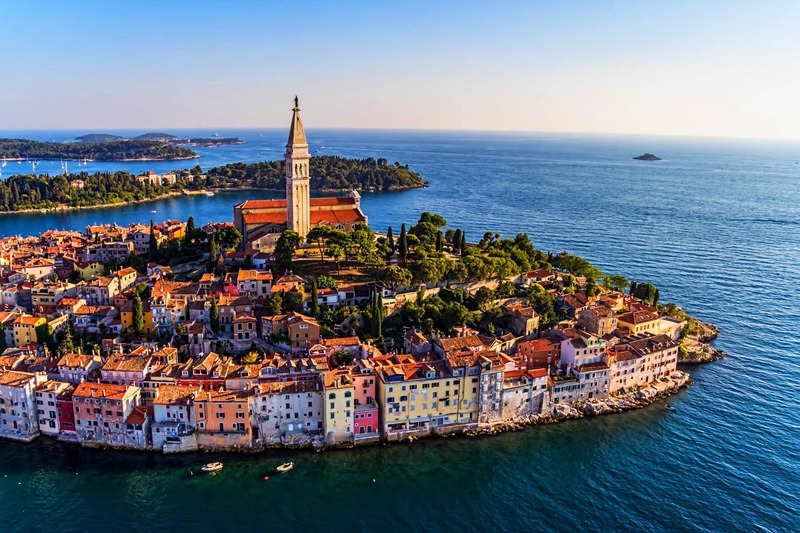 Travel further to Croatia, past old hill-top towns of Buje, Grožnjan, Motovun and continue towards the coast, to the lovely towns of Poreč, Rovinj and Pula. 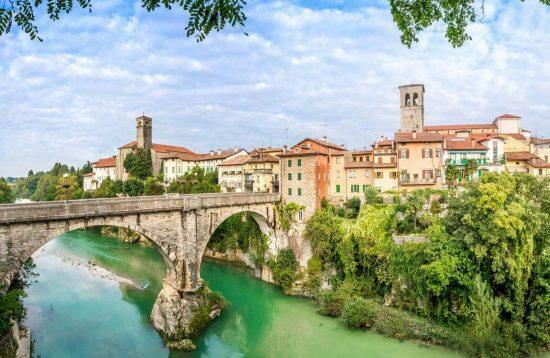 Connect three countries on one trail: Italy, Slovenia and Croatia. Cycle on a former railway route with notable remains from former times. 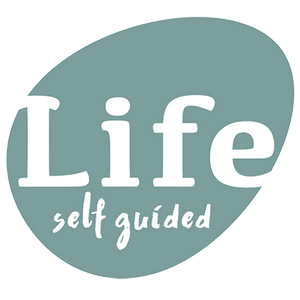 Unique coastal towns of Piran, Portorož, Poreč, Rovinj and Pula. Date: From April 1st to October 31st. Start of the tour: Trieste (Italy). 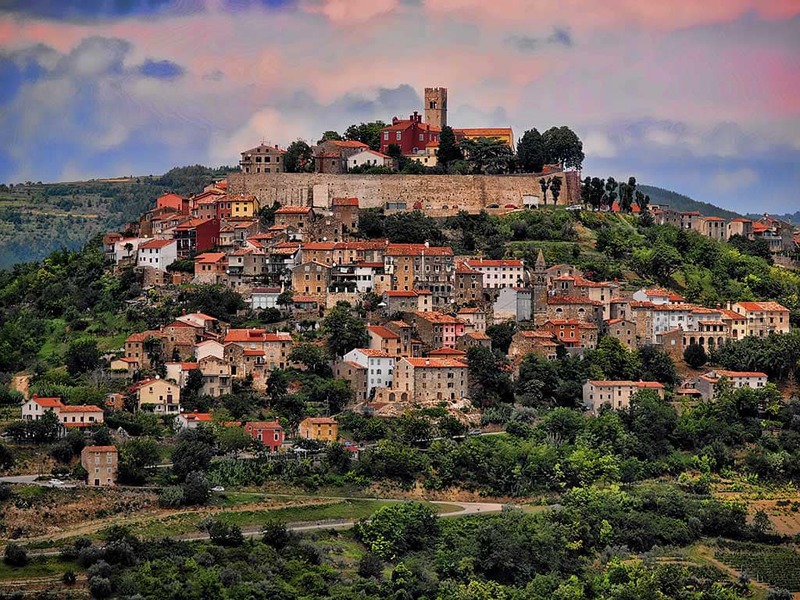 Parenzana was a 123-kilometre long railway line, which connected 33 towns and villages in Istria, from Trieste to Poreč. 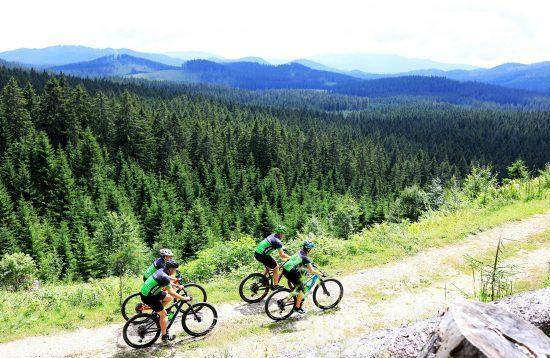 Today the route passes the territories of three countries: Italy - 13 kilometres, Slovenia - 32 kilometres and Croatia - 78 kilometres. The railway opened in 1902 and it gave life to the region it ran through; on its 123 kilometres long route, the small, slow train was puffing every day through hilly and diverse Karst areas, carrying passengers, salt from Piran and Sečovlje salt pans, olive oil from Buje and Motovun, fruit, vegetables, Istrian stone and wine. The railway line was closed in 1935. The route was recently reopened as a beautiful cycling path. Full organisation of the cycling trip - holiday. 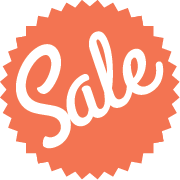 6 nights in 3* and 4* hotel accommodation with breakfast. Private transfer from Pula to Trieste (day 7). Main luggage transfer from Trieste to Pula. Travel to the start and from the end point of the tour. Optional start of the tour from Airports: Venice, Ljubljana or Zagreb (transfer to Trieste town). Arrive to Trieste. We will pick you up at the Trieste airport and take you to your accommodation. 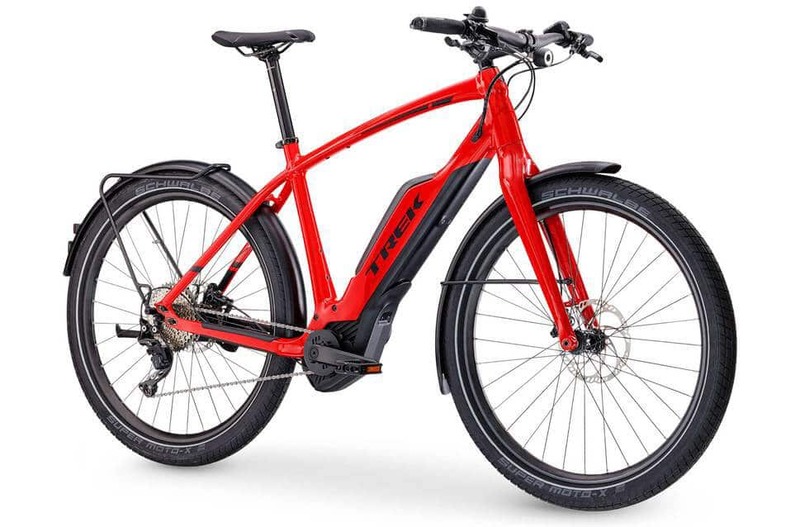 After briefing, where you will get bikes with complete equipment and booklet with route description and maps, you will have free rest of the day to explore this beautiful port town. Accommodation hotel in Trieste***, half-board. 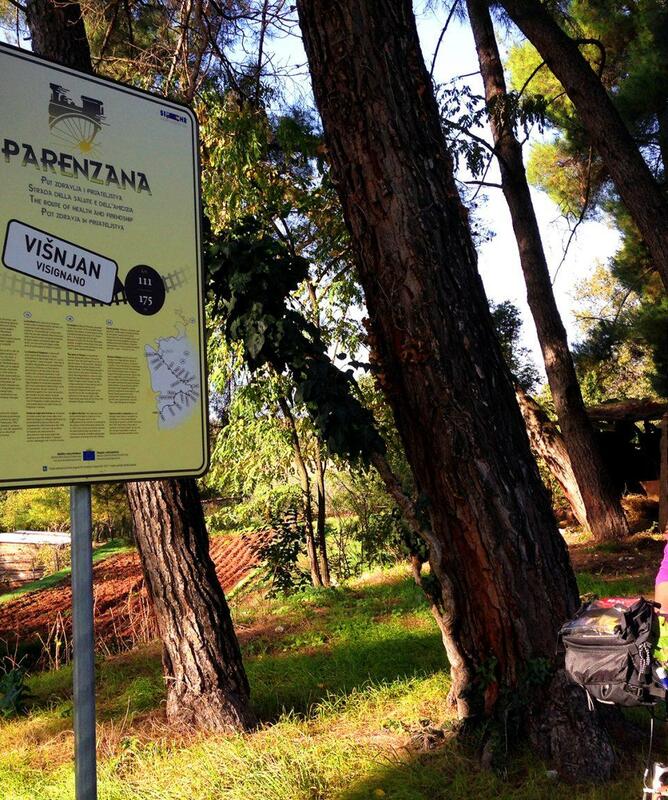 In the morning you will start cycling to the beginning of the Parenzana trail. 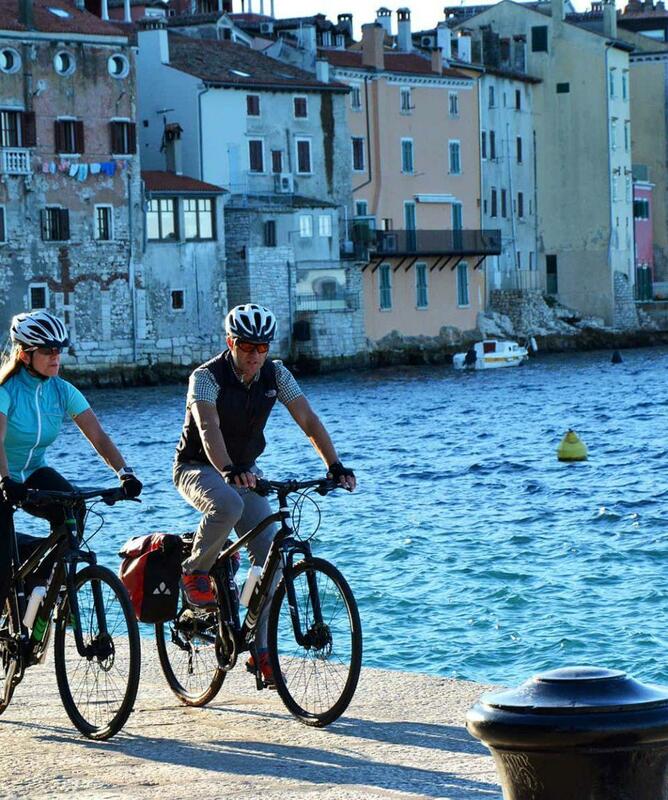 You will cycle all the way to the coastal town of Portorož via Koper (36-40km). Free afternoon to enjoy one of many beaches in Portorož. Accommodation hotel in Portorož***, half-board. 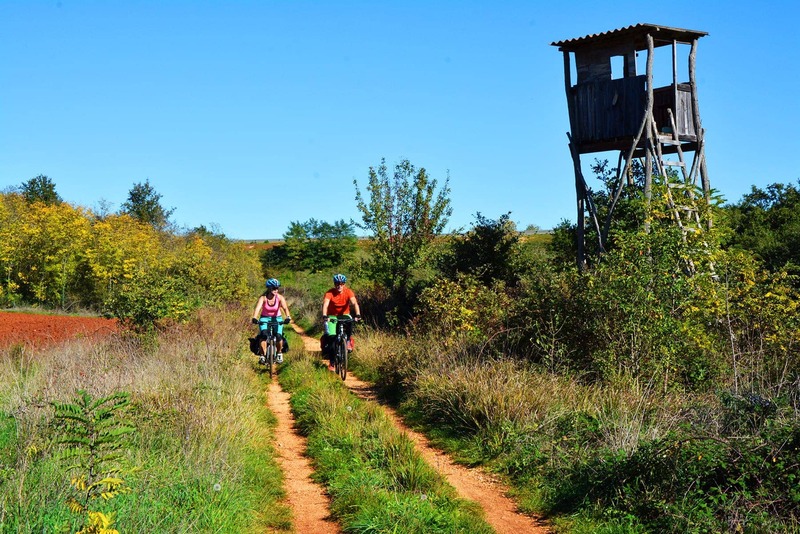 After leaving Portorož and cycling past Sečovlje salt flats, you will cross the Croatian border and cycle on the most scenic part of Parenzana, through historic hilltop towns of Grožnjan and Buje to Motovun (53 kilometres). Accommodation hotel in Motovun***, half-board. 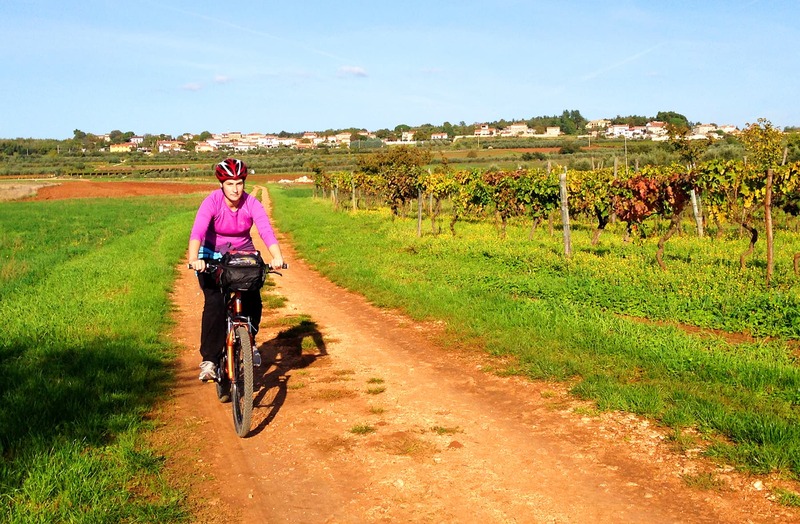 Today's route will lead you past small villages, olive groves and vineyards. Enjoy the magnificent views all the way to town of Poreč (33 kilometres). Accommodation hotel in Poreč***, half-board. 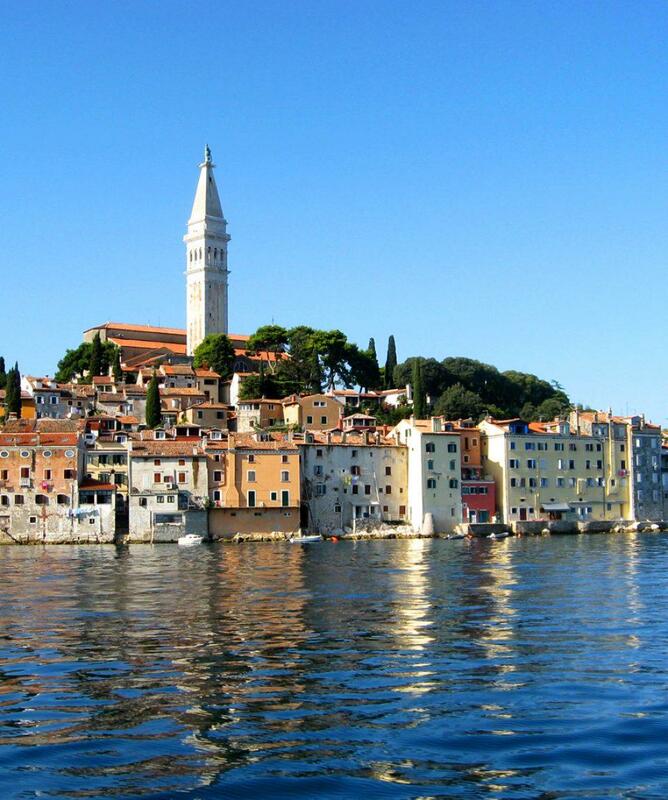 Cycling mainly by the coast and having splendid sea views, you will cycle from Poreč to Rovinj (38 kilometres). 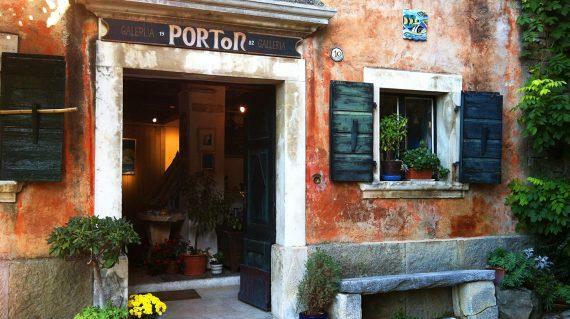 Accommodation hotel in Rovinj***, half-board. Cycle from Rovinj to Pula (40 kilometres). On your way stop in the historic stone town Bale and village Vodnjan that has been inhabited since the Antique times. In the afternoon, make sure you visit the magnificent, UNESCO heritage Roman Arena, nearly 2000-year-old and one of the most well preserved arenas in the world. Accommodation hotel in Pula***, half-board. Trip concludes after breakfast. A private transfer will take you to Trieste airport. 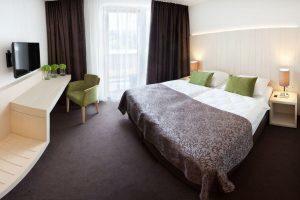 Accommodation is in a combination of 3* and 4* hotels, which are comfortable and with breakfast. Day 1: 3* Hotel in Trieste / Double room with breakfast. Day 2: 3* Hotel in Portorož / Double room with breakfast. Day 3: 3* Hotel in Motovun / Double room with breakfast. Day 4: 3* Hotel in Poreč / Double room with breakfast. 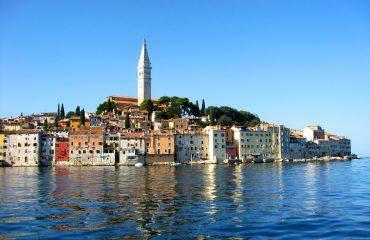 Day 5: 4* Hotel in Rovinj / Double room with breakfast. Day 6: 3* Hotel in Pula / Double room with breakfast. 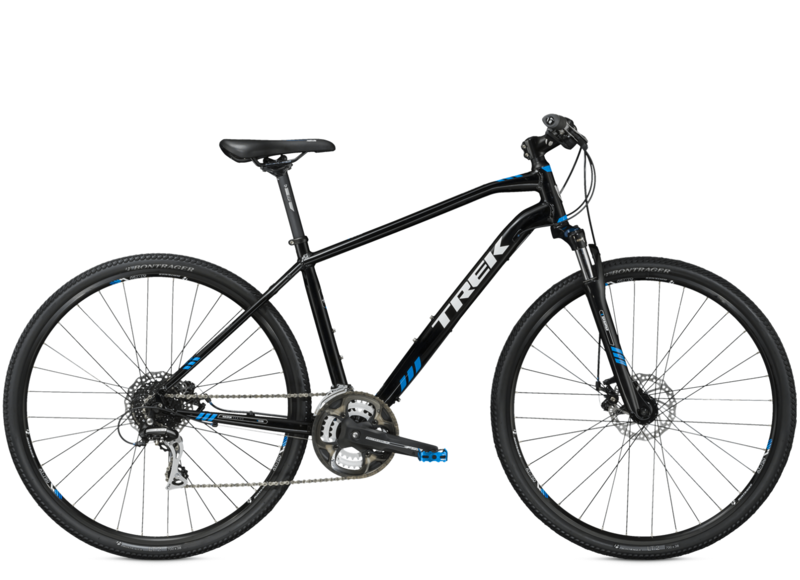 What kind of bike I will use?What kind of equipment and personal belongings do I need?How demanding is the tour?Tips and suggestions?Do I need an insurance?What kit is provided?What do I do with my main luggage?What kind of accommodation can I expect? We would recommend this trip to anyone with a desire for something different but so enjoyable!! 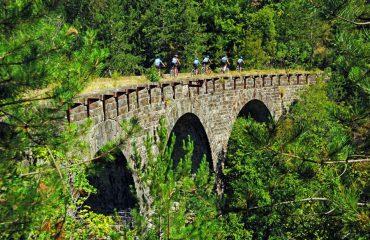 Excellent trip, very scenic, the daily distances, although long, were achievable within the day. We got to experience beautiful countries, delicious food and breathtaking sights. A well organised trip! A wonderfully scenic ride, very interesting towns along the way. Mostly on bike paths (old railway tracks). 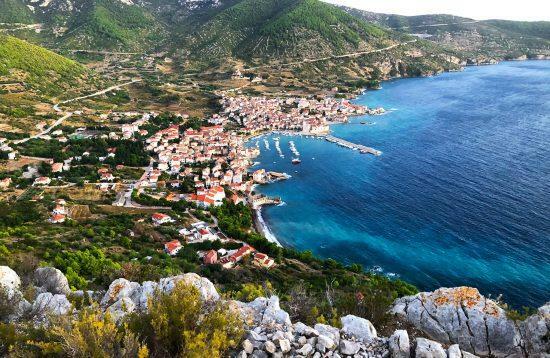 This part of Croatia - Amazing! The scenery was absolutely stunning, the food and wine great and the mix of fresh air, exploration, comfort was a delight. We loved it.